Welcome to The Center Circle! In a caffeine inspired epiphany, the SoccerPro.com marketing crew crafted this soccer fan blog just for the guys and gals that love the game. You may never have played it. You may never have laced up a boot — or you may be super-crazy good. It only matters that you are a fan of soccer. 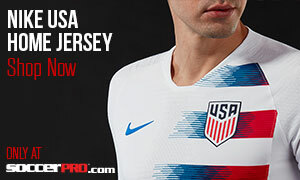 Join us in a sincere exposé of the soccer world as we share current events, popular opinion and unpopular opinion on the state of the game and reviews of your favorite team jerseys. See some of the old Manchester United jerseys or great stuff from Barcelona, Bayern Munich, Real Madrid and many more. We are going to try to get it all covered for you. We promise that if it’s about soccer it all starts here — in the Center Circle. Do you want to tell what you think is happening in soccer today? We absolutely want to hear from you. Make sure to leave a comment on any of the posts or visit us on our Facebook or Google+ page. Hello, I would like to inquire about covering the Seattle Sounders by creating analysis, opinion, and creative story coverage throughout the season. I look forward to the possibility of contributing to The Center Circle. Thank you! Hello, I’m Max Domel, a staff writer for the Liberator newspaper and freshman at the Liberal Arts and Science Academy in Austin, Texas. I am also a big soccer fan and play club soccer. I’m writing a story about the U.S. men’s national team, specifically upcoming games, covering previous games and efforts, and talking about the progression and future of the team’s very young roster. If somebody from the Center Circle could get back to me and I could email them some questions before next Wednesday, October 10, that would be amazing. Thank you so much.